Attendees can leave your event with giveaways and pamphlets, but if you want them to go home talking about your unforgettable event, it’s essential to offer enticing networking opportunities. 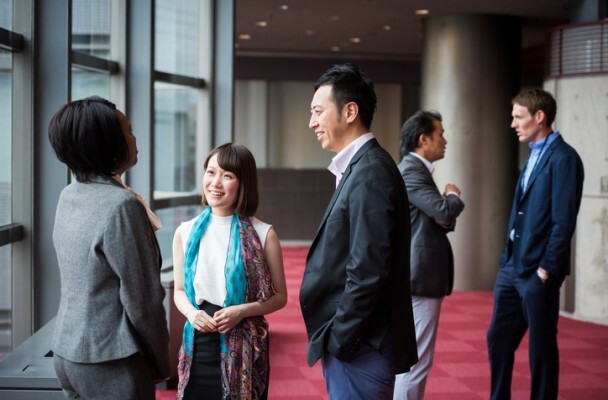 Luckily, new technology is only helping event planners make networking opportunities more accessible and convenient, as well as efficient enough to connect more like-minded attendees to each other throughout the event life cycle. Make it simple for attendees to exchange contact information (name, phone number, email, etc.) by utilizing digital badges. This new technology is certainly a step up from traditional paper badges. At a push of a button, digital badges can collect contact information and other marketing materials, with the added bonus that attendees don't have to carry and keep track of yet another business card or fact sheet. Tip: Find digital badge technology that works with your event mobile app. That way, attendees can review their event history and control their badge directly from their smartphone. Attendees seek to increase their network & meet valuable people to build connections with. Publishing an attendee list on your website and integrating it in your event app is a way to initiate interaction. Another way to enhance networking is to link each listing to an attendee's respective LinkedIn profile. Provide them with the option to opt-in for these networking opportunities during the registration process. Tip: Maintaining the privacy of your attendees’ information is crucial to building trust, so do not publish their phone numbers or email addresses. Find a mobile app that allows attendees to request a meeting with others. Based on the list you provided, attendees can send a short, private message to other attendees to see if they would like to connect in person. Make it easy for them to find locations to connect by providing designated meeting places for networking on your event floor plan. Tip: Also add your floor plan that showcases your one or two networking meeting spots to your event mobile app for easy access. Allow your attendees to unwind after your event by hosting a social event in a more informal setting. This gives them the opportunity to continue to build their network and connect with people in a more relaxed environment. Tip: Having a beer tasting event at a local brewery, a cocktail party or a gala dinner is a great way to add fun after the formal event. After your entire event day is done, make sure your attendees leave with lasting connections that they won’t forget.